A widow learns her late husband was a crooked cop and attempts to make amends with the young man whose life he ruined. The French have a great love of American action movies, and filmmakers as disparate as Jean-Luc Godard and Luc Besson have channelled their love of Hollywood genre cinema into their work. With 1993's Wild Target, writer/director Pierre Salvadori lampooned hard-boiled American crime thrillers in very Gallic fashion, and he returns to similar territory 25 years later with The Trouble With You. 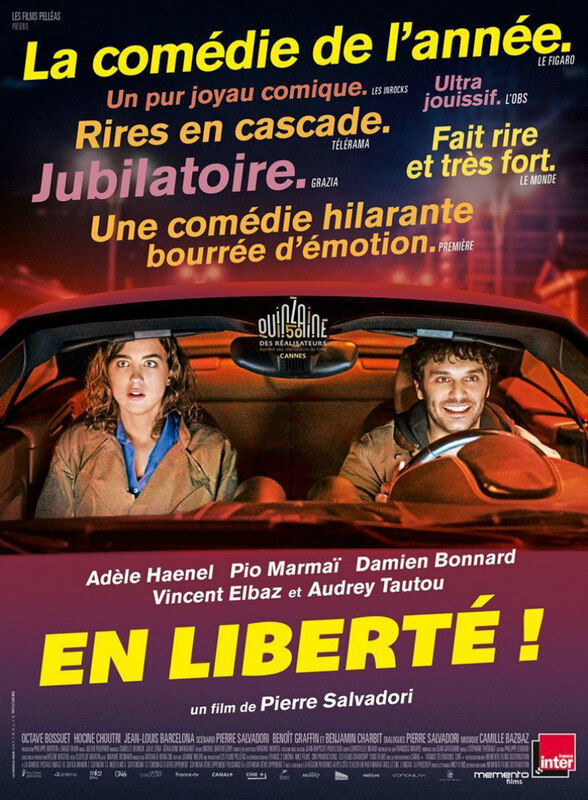 A female detective struggling to be taken seriously by her male colleagues, Yvonne (Adele Haenel) lives in the shadow of her late husband, Santi (Vincent Elbaz), a revered cop killed in the line of duty. So beloved is Santi by the local townsfolk that they've just erected a hilariously tacky bronze stature of him in the town square. At night, Yvonne sends her young son to sleep with exaggerated tales of his father's crime fighting exploits, which Salvadori visualises in over the top fictional flashbacks. Yvonne's world is shattered when she interrogates a suspect who reveals that Santi was a crooked cop who took bribes from the local criminal underworld, and even her wedding ring is a souvenir of a jewellery store heist. Worst of all, Santi sent an innocent man, Antoine (Pio Marmai), to prison for the robbery, and it just so happens he's about to be released from eight years of porridge. Feeling she needs to make some sort of amends with Antoine, Yvonne stalks the ex-con, whose volatile and violent behaviour suggests he's no longer the innocent young man her husband sent down. There are two types of French comedies - the sophisticated witty ones that play in arthouses around the world, and those which are intended solely for a parochial audience, usually focussing on toilet humour and the sort of smutty comedy that gives the impression that French society is a half a century behind the Anglo-Saxon world in its social mores. The Trouble With You falls awkwardly between both stools. In a relatively short career, Haenel has proved herself a versatile star, as comfortable in dramatic fare like The Unknown Girl and 120 BPM as in comedies like this and the underseen Les Combattants. She's too good for the role she's saddled with here, which asks her to play the straight woman against the more slapstick performance of Marmai, and the rare moments when she's allowed exploit her comic chops demonstrate the extent to which Salvadori has wasted his leading lady. Equally squandered is Audrey Tautou in the thankless role of Antoine's wife. 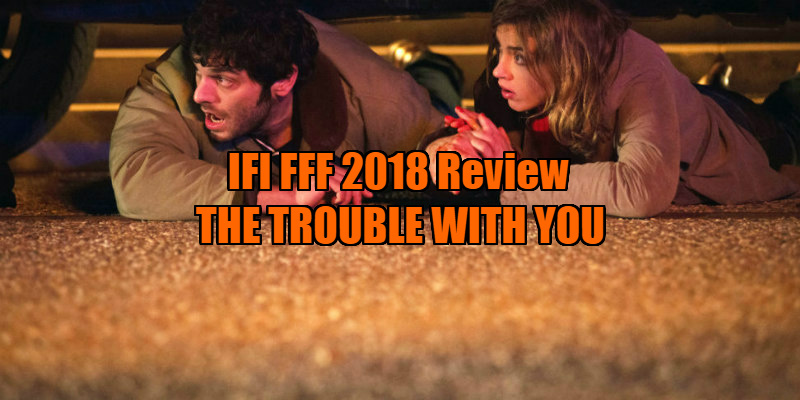 In its best moments, The Trouble With You is a smart sendup of Hollywood cop movies, and Salvadori uses Yvonne's bedtime stories as a clever way of injecting bombastic action set-pieces into the narrative. The more annoyed with her late hubby Yvonne becomes, the less heroic a role he plays in her stories, and Elbaz does a fine job of portraying this transformation from handsome hero to greasy goon. Hollywood doesn't tend to remake French movies as frequently as it once did, but I'd like to see someone like Shane Black take this intriguing concept and refine it for a wider audience. Alternatively, it's a premise that might arguably find more success as a straight, dark romantic drama about a widow becoming involved with the man her husband screwed over. As it is, The Trouble With You is an ambitious mess with all too intermittent flashes of sophistication.